I’m pretty delighted to tell you that I’ve been featured by Mammasaurus as part of the weekly Parenting Pin It Party. I’m all about having fun with a glue gun and my Playmobil clock is one of my favourite projects so far. 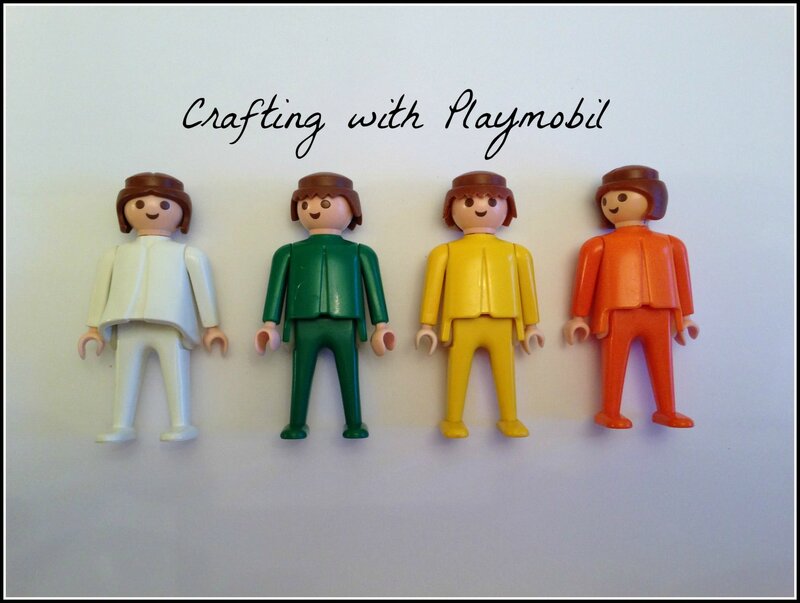 I have more Playmobil fun for you today as I just can’t resist those colourful little plastic people! You know I love to hang around on Pinterest and I’m sure you’ve all seen the animal topped glass jars which have been spray painted one colour. I thought it would be fun to do a Playmobil version as the toddler has just had his room decorated and he loves Playmobil! I was able to use items from around the house. 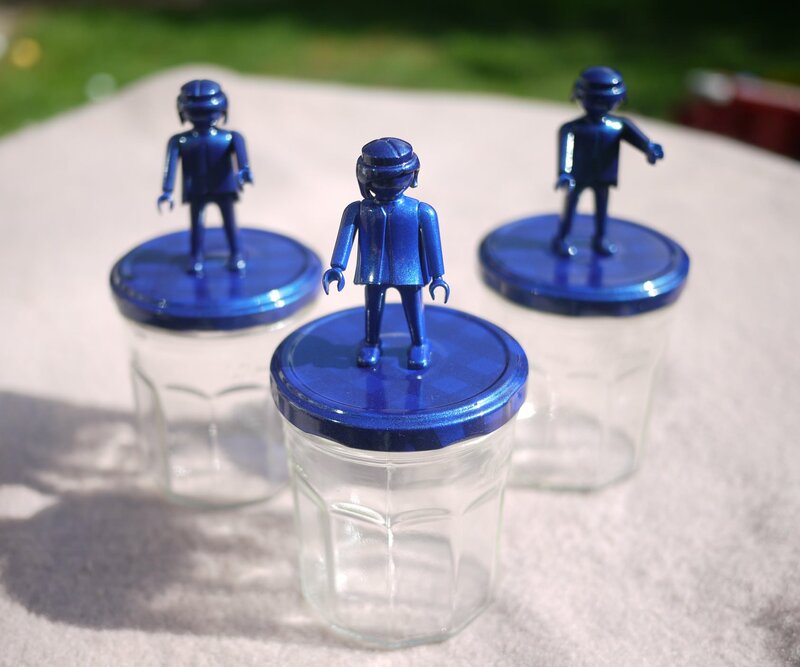 I raided my supply of empty Bonne Maman jars, picked a handful of vintage Playmobil figures and got out my glue gun. The only thing I needed to purchase was a can of Plasti-kote enamel spray. 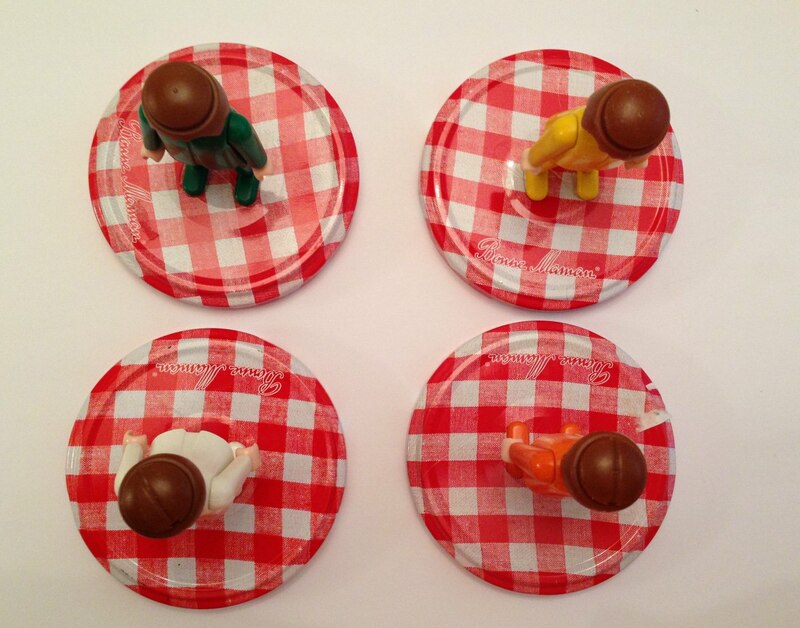 The first step was to glue each figure onto the Bonne Maman lid and leave to dry over night. The next day I sprayed each lid by attaching it to a long stick with a blob of blu tack. This meant I could apply the spray evenly by slowly turning it round whilst I sprayed. Again, I left them over night to ensure they had dried properly. I love these fun little jars and they are perfect for storing little treasures in any room in the house! 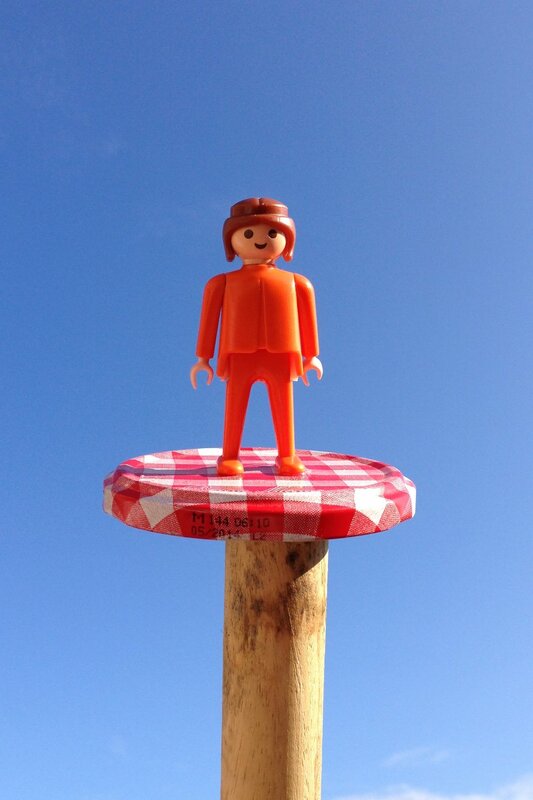 Thanks, can’t get enough of Playmobil at the moment! You really are some sort of genius honey. I could never find the time nor the inclination to do that and you have TWO littlies under 4. I don’t know how you do it!??!!? They are gorgeous! And I love your Playmobil clock too, brilliant! These are super cute! Thanks for linking up with our Parenting Pin-it Party.